We think tomorrows New York Daily News front cover says it all for us here at Times Square Gossip. 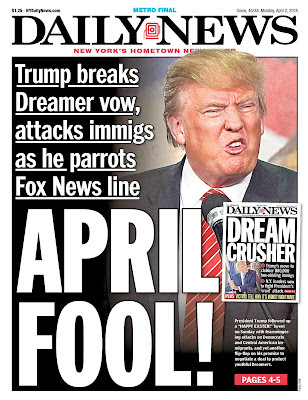 The cover Shows a horrible photo of Donald Trump and call him APRIL FOOL. Could not have said it better. 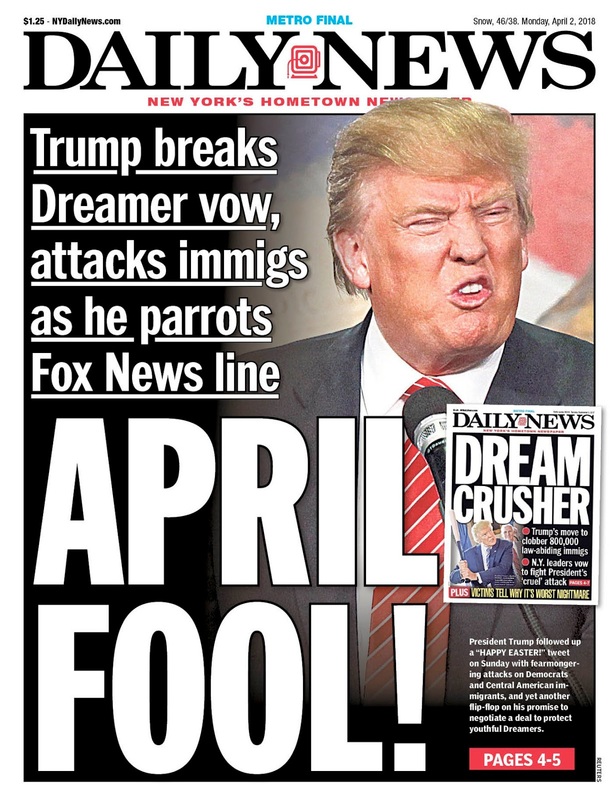 Daily News Says -- He’s unfair and unbalanced.